Technology & SEO Marketing Conference - Let's have fun while making it viral. The use of Interactive voice response (IVR) has become common in many organizations. The system offers an interactive opportunity between humans and computers through the tones generated by each key on the telephone keypad. The system has a dial pad to allow for segmentation, identification, and routing of callers to the appropriate agent within an organization. IVR system works on the principal of computer-telephone integration (CTI) and is called dual-tone-multi-frequency (DTMF) signals. It responds with either a pre-recorded or powerfully generated audio that directs callers on the way forward. The system is more intelligent. The major components are a computer, telephony board, phone line, IVR software, and a DTMF. The telephony body otherwise called the telephony card helps the computer integrate the DTMF signals originating from the phone. Hook the laptop to a phone line via a telephony board and IVR software. The software is used for pre-recording greetings and laying down menu options for callers to select using their phone pad. Advanced IVR systems come with speech recognition capabilities. In this case, a caller can use voice commands to communicate with computers. The software can understand names as well as numerous characters. Today, Majority of the advanced IVR systems use voice extensible markup language (VXML) programming language. This system is composed of Telephone network, TCP/IP network, VXML telephony server, Web/application server, and Databases. Still, the IVR systems can incorporate Text to speech software. This software is essential for organizations if they want to automate outgoing messages fully. What can you use your IVR systems for? • Route calls within an organization: when a customer makes a call, the system will provide options in the form of a menu or questions concerning the request. It can answer basic questions, but in complex cases, it will reroute to appropriate specialist agents. • Useful for sales: the sales department can use this system for various uses. For instance, it can be a virtual brochure to highlight the services and products offered. • Application in the medical field where is used to transcribe medical records. Medical professionals record the records of the patients in audio form and then send them to a transcribing machine with a powerful speech to text capabilities – IVR system. • As an electronic notification system mainly to the members of an organization who work from home. An IVR system allows a customer to be attended to by an agent who is well qualified to tackle the issue. ; This is because customers will be directed to such agents in appropriate departments. Agents within a company that uses IVR are qualified in the sector they are placed. They will effectively and efficiently solve issues within that area. This way they meet the specific needs of the customer. The general effect is delivery of efficient customer services. The IVR systems are cost-effective. To start with, they are incredibly affordable to buy and maintain it’s like a basic free chatline number to re-route the calls. Their scope of work is broad: they perform the job of receptionists, customer service agents, other agents, and managers. Remember, if you’d be using a phone, it will take much time trying to understand callers. This system allows an organization to concentrate on the most critical issues. This increases efficiency besides reducing the cost of operations. An IVR system is a mark of professionalism. This is seen from the way customers are greeted to the way they are directed to appropriate departments. Customers get the feeling of being attended to, reason being, the computerized operators give you a speedy answer. Having this system in your organization whether big or small depicts how professional a business is. IVR systems are efficient in their working. They are easy to operate as well as reliable. Every customer who calls will be directed to the appropriate agent who will solve their problem. Besides, these systems operate throughout day and night. You can call any time and get your issues resolved especially on simple tasks. For an efficient IVR system, an organization needs to have all software and hardware. It can purchase, install and run them in-house. However, there is an option to subscribe to hosting services. IVR-hosting service comes at a monthly charge. It offers an opportunity for customization of the IVR system, to fit the organization’s needs. Besides, it provides technical support. The SEO Company that came from Miami, the marketing team they share their tools, ideas, and goals with their Marketing Business. How they work with multiple clients, how important is to become organized and more. Of course the team of SEO miami will be part of the next conference of MakerLand. We had a blast, a lot of fun. We develop workshops doing: robots that can dive, dance. it was very fun with another team, we did some 3d printing with our attendants. We’d love to see you next time guys! OHi guys, here are some testimonials of the attendants. We would love to see you on the next one! Makerland has been my favourite conference for marketing in at least couple of years, came back so excited it’s crazy. thank you guys. It was fantastic! It was an incredibly well run event that will stand out for me for a long time too! the marketing speeches were speechless! i’m so grateful for everything! thank you guys! Last 3 Days i’ve spent on a completely different world and i enjoyed it a lot! as soon as i get home i started creating brainstorming ideas, projects and more! Goodbye Warsaw. You & Makerland Surpassed all my expectations. Thanks again guys! i’m looking forward the next conferences. On my way back to Chicago after a ridiculously excellent Makerland Event! Huge thank you guys for being amazing hosts and give us the “change” the we need on our marketing and technology approaches. 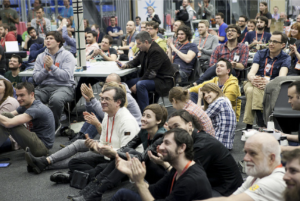 Had an awesome time at makerland conference and in warsaw, great conference and the marketing company from seo miami that gave their speech also unbelievable such a great weekend! And many, many more testimonials that you guys have made possible. We’re going to be back again with a new & better version of Makerland. Makerland is a new kind of event organized for everyone interested in getting to know world of makers and hardwar and Marketing taking place in Miami between 17 and 19 of March, 2014. 3 days of talks and intensive workshops on Arduino, Raspberry Pi, 3D printing, iBeacons, micro-location, robots and everything you can label as ‘Internet of things’. Dive into the world of hardware and learn how to build stuff. Programming a humanoïd robotIn this workshop, you will discover NAO robot, a state-of-the-art humanoïd robot with 25 degres of freedom, and you’ll also get to know Choregraphe, the graphical interface used to create behaviours for the robot. After a small introduction to the software, you’ll be able to create your own behaviours and to test them on real robots. The team behind NAO robot will also be there to answer questions and provide help and support if you feel like using their SDKs to go even further. Tons of fan with bots and bricksDuring this workshop you will get a chance to learn how to build and program robots with Lego Mindstorms. Build your own arm, robot or car and program it without any programming knowledge or use language you already know as a weapon of choice! Bricks & bots workshop will be part of a bigger creative hacking space with tons of bricks and hardware you can use during the event. Is My Home on Fire? Create a system to make sure your home is safeWant to check up on your home while away? Create a home inteligence system allowing you to do so. See how hot there is, what is the current humidity, if plants need to be watered or are windows closed or opened. Use Arduino Yun to fetch and process data from multiple sensors and send it to the internet. 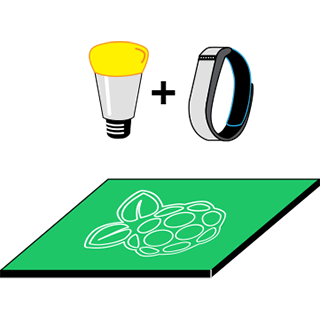 Turn the lights by walking into the roomThe workshop project involves using a RaspberryPi and Bluetooth 4.0 for automatically turning on a Philips Hue wireless lamp based on user proximity (using a smartphone or a device like the Fitbit). The workshop will teach participants how to use Node-RED for interacting with Objects/Smart Things. We will learn the basic elements of Node-RED, how to interface with hardware like the Arduino, how to write custom code and how to consume external services using APIs. Build a 2 wheeled battle-worthy sumobot!Learn everything you need to know to build and program a 2 wheeled battle-worthy sumobot! We’ll start by learning about the components that make up a robot, and you’ll assemble your custom bot from an assortment of parts on hand. Next we’ll look into the software side of things and figure out how to make them move. Not a great programmer? No problem! We have options including manual joystick control, a simple drag and drop lego-like programming environment and of course traditional code too. Finally, it’s time to put your bot to the test by battling it out in the sumo arena with other bots or navigating the timed obstacle course! Learn to 3D print your modelsEver wanted to design and create your own toys? With 3D printers it’s now possible! On Makerland we will maker one of the biggest gathering of 3D printers there ever was. 3D printing experts will show and teach you how to use and maintain 3D printer and turn your dreamed 3D models into reality. You’ll get a chance to use all kinds of different materials and machines, so you can decide what’s best for you. Improve hens’ happiness and productivityApplying connected technology to improve your Hens’ happiness & productivity. Remote laying surveillance to know when you can count your chickens before they’ve hatched. We will learn how to keep yourselves informed each time a feathery friend drops an “object” on a “nested loop”. So which came first? The chicken or the egg? First steps into design thinkingHave you ever tried to learn how to program advanced thermostat? That is a nice challenge. When it’s possible to solve virtually any problem with technology, the real problem is how to adjust this solution to the minds, expectations and habits of people that will use it. 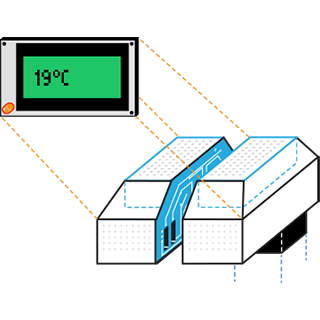 During the workshop you will analyze a few design problems with different modern tools like thermostat and similar common interfaces. You will also try to use User Centered Design process combined with some workshop methods to create another Nest. Build an underwater robotEver dreamt about having a mechanical fish or your own submarine? Now it’s possible! Build a basic autonomous underwater robot, powered by a small electric motor, that’s capable of navigating around a small paddling pool. Infrared sensors are used to provide inputs to an Arduino Nano development board which acts as the brain and controls a couple of servo’s linked to a rudder and a dive plane to navigate the robot in the water. Build a dancing Arduino-powered 3D-printed robot!In this workshop, you’ll build a small humanoid robot out of Bitbeam, a open source and 3D printable LEGO Technic-compatible building material. Once we attach some motors and an Arduino brain, you’ll teach your new robot to dance. The design is completely open source software and hardware. You’ll learn that with a 3D printer, you can make almost any robot part you need. You’ll also learn that making a robot is incredible easy thanks to off-the-shelf and low-cost parts such as Arduino and small hobby servos. Make your flat smarterHave you ever wanted to live in a house like the Jetsons? We will be taking the first step into this inevitable future in our workshop! You will learn to build a system that notifies you immediately of an unexpected environmental change such as gas in the air or a strange loud noise in your house. We will teach you to make your home smarter by using just an Arduino, some awesome analog and digital sensors, and a set of powerful web APIs. Control the flying robotIn this workshop you’ll learn about the wonderful world of autonomous flying robots, specifically the AR Drone 2.0 provides a high level API to send commands, read data back and stream video from it’s HD camera. We’ll start writing basic programs to take off and land, and before you know it you’ll be using feedback from a wealth of onboard sensors to perform more impressive maneuvers and behaviours.